Following the official thank you from Forest Research (right) in 2011, we’ve received a personal message from one of the scientists at Forest Research, Dr Sandra Denman, and more information about how they spent the £5000 raised by Ride for Research in 2011. We are delighted with the new (Zeiss V8 Discovery) microscope and have waited many years for an upgrade. 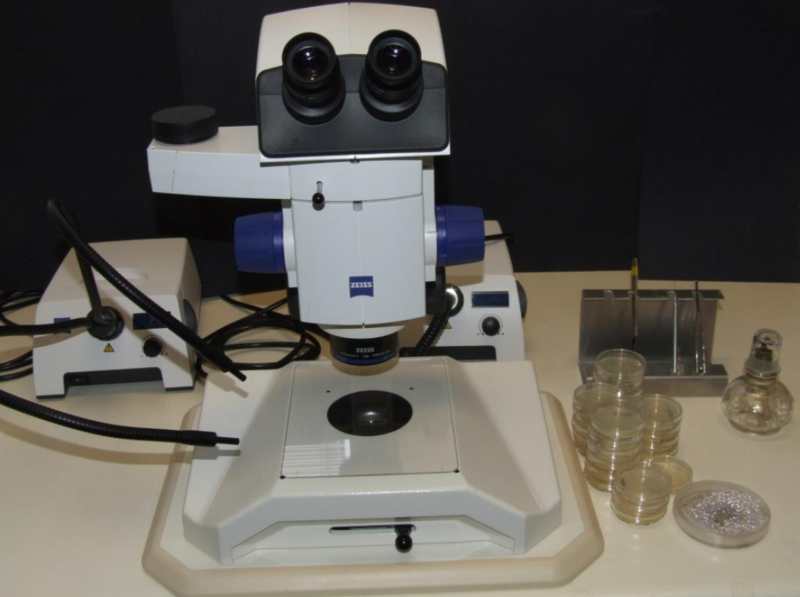 A stereo microscope is a fundamental piece of equipment in our laboratory so to have such a good model with excellent optics and uncomplicated operation meant that once it arrived we were able to begin using it immediately. It is used daily so we could not be more grateful for the effort that the ISA put it towards us achieving its purchase. I would like to thank the group of riders very much for ‘pedalling so many pounds worth’ that enabled us this much appreciated, essential piece of lab equipment.